The best cash back credit cards for active duty US military servicemembers can put up to 6% back in your bank account. Cash back cards are great if you do not travel frequently or you just want to be rewarded for your everyday purchases. Cash back cards offer the simplicity of just getting cold hard cash for your normal spending. Some of them offer extra cash back bonuses in specific categories like gas stations, groceries, supermarkets, or pharmacies. The AAFES or NEX gas stations on base or post qualify for the gas category. The Commissary rings up as a supermarket and the Shoppette usually qualifies as a gas purchase. All the cards listed below also have a welcome bonus, which you will receive after spending the minimum amount required in the time required. 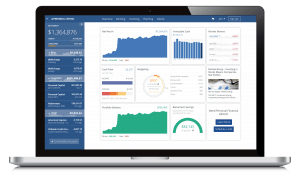 These are often low threshold minimums ($500-$1000) with plenty of time to meet the spend. UNLIMITED 4% cash back on dining and entertainment – HUGE if you like to go out to eat! 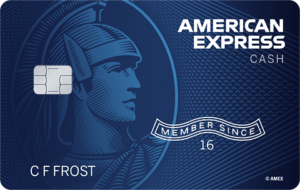 The American Express Blue Cash Preferred is the best day-to-day cash back credit card for military servicemembers. The 6% cash back at US supermarkets, including the DECA Commissary on base/post, is the best cash back offer available on any category. It also works overseas, as Commissary transactions process like you are in the States. The 3% cash back on US gas stations also works on OCONUS and CONUS bases, at the NEX and AAFES gas stations. You can also get a $200 welcome bonus after spending $1000 in the first 3 months of card membership. This is only $333 per month, a very easy spending threshold. The Blue Cash Preferred is an excellent choice for military servicemembers, especially since the $95 annual fee is completely waived. The Chase Freedom card offers 5% back on rotating categories and no annual fee. Click here to check out this card. The welcome bonus is 15,000 Ultimate Reward points worth $225 if you transfer them to your Chase Sapphire Reserve with no annual fee for military. Or $150 if you just cash out your points. I’ve had this card since I joined the military. I keep it open to age my credit history with no annual fee. Gasoline is usually one of the categories for half the year, making this a great card to use to fill the car up. 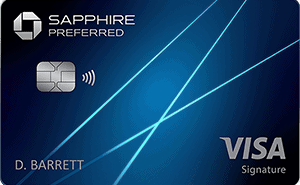 I usually put whatever the 5% category is on this card, then travel and dining on my Sapphire Reserve, and then everything else on my Chase Freedom Unlimited. 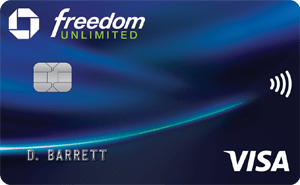 The Chase Freedom Unlimited is my go to card when I’m CONUS. The 3% on $20,000 spend welcome bonus is worth up to 60,000 Ultimate Reward points worth $900 if you transfer them to your Chase Sapphire Reserve. Or $600 if you just cash out the points. 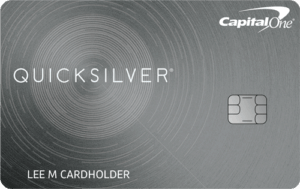 The card offers a simple 1.5% cash back on all purchases and no annual fee. Great to use for online purchases or anything other than travel and dining which you should get 3% back on with your Sapphire Reserve. This is my default card when I’m back in the States. If you can get 5% back on easy categories like gas or groceries with the Chase Freedom card above do that. Otherwise use this card to get 1.5% cash back on every purchase. Cash back cards offer US military members an easy way to earn cash for the day to day spending of life. My first credit card was a cash back American Express. A cash back card is a great way to start building your credit history so you can qualify for the best military credit cards, like the AMEX Platinum (learn more here). Are you are more of the travelling type? Does the idea of flying business class to New Zealand and Australia for New Year's Eve sound like a dream vacation? Then check out my step by step guide of no annual fee luxury travel cards for military servicemembers. 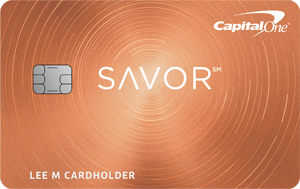 I called Capitol One Savor card military hotline and they informed me that I would be charged the $95 fee each year. Is this just an error or should I call and try again? I just wanted somewhere in writing saying it will be free before making the leap. I’m not sure, I don’t have personal data points. Let me do some research and I will get back to you! The annual fee is waived for the first year anyways for everyone. So, if you are considering getting this card, why don’t you get it, see if they apply any SCRA benefits, and report back for all of us? Thanks! If you were lucky enough to get USAA limitless 2.5% cashback card (no longer offered), I think it’s the best cashback card. Yes, a great card. Hopefully they offer it again soon.